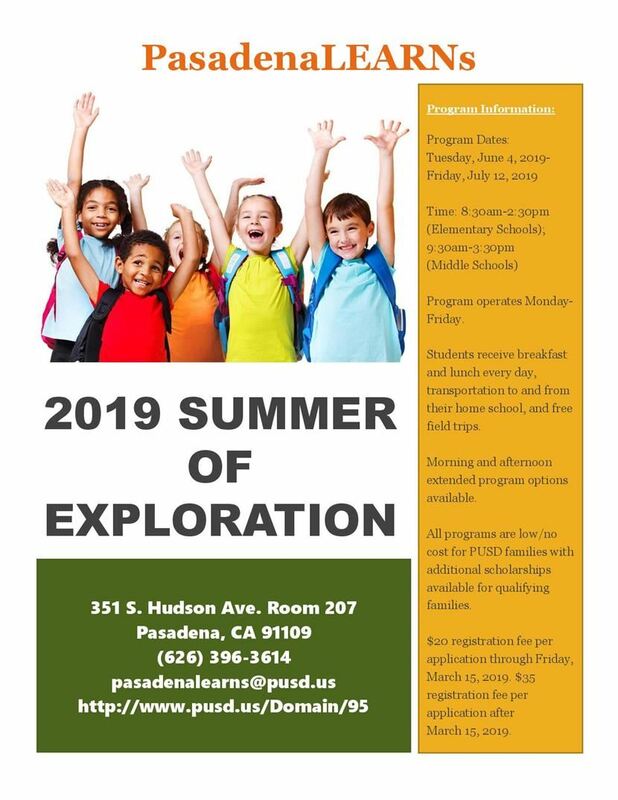 The after school and summer school programs of PasadenaLEARNs offer engaging enrichment, leadership, and learning opportunities for K-12 students in the Pasadena Unified School District. Activities complement the school day, and include homework help, leadership, visual and performing arts classes, structured recreation, academic enrichment activities, and literacy development. Field trips are a regular feature of PasadenaLEARNs' spring break and summer programs. PasadenaLEARNs serves approximately 3,000 students daily at 23 school sites in PUSD. Program operates every regular school day from dismissal until at least 6pm. PasadenaLEARNs is now accepting applications for 2018-19! Applications will be available in the LEARNs office at your school beginning Monday, May 28, 2018. Sign up now! Space is limited! Parent Handbooks provide important information and may help answer questions about our programs. Why Become A PasadenaLEARNs Youth Leader?